Why is the Drilling Success so Diverse? Exploration in the Barents Sea – “ups and downs”, where to go next? 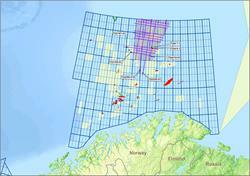 Petroleum systems in the SW Barents Sea: diversity, opportunities and challenges. The event will be held at Felix conference center (Aker Brygge, Oslo). These great lectures with be followed by a tasty Spanish tapas buffet dinner.